Fabulous single storey home presented to an exquisite standard, situated in one of Hastings most sought after residential roads. 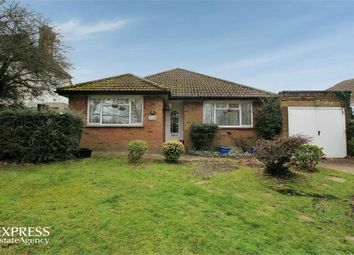 The Express Estate Agency is proud to offer this Two Bedroom Detached Bungalow – all interest and offers are invited. 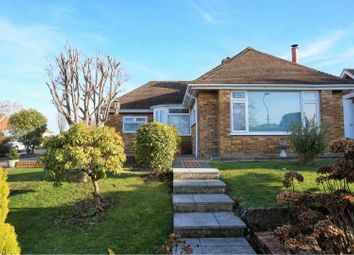 A two double bedroom detached bungalow having undergone extensive refurbishment by the present owner, ideally situated on a bus route and within easy walking distance of Ravenside retail park and the seafront. This is a bright and very well proportioned extended property. The accommodation comprises of entrance hallway a large living room to the front, newly fitted kitchen/dining room with a separate utility room, main bathroom/WC and additional WC and two double bedrooms. In addition there is a good sized private rear garden and driveway with ample off road parking to the front. 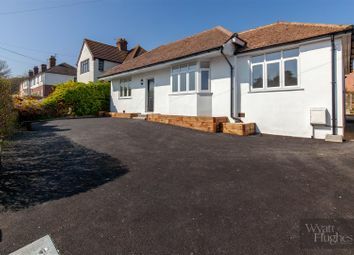 The works undertaken to the property include, re-rendered, re-plumbed with new boiler, re-wired, all new double glazed windows and doors, re-plastered, new carpets and flooring, re-decorated, new internal oak veneer doors, new fascias, soffits and guttering and new driveway. Making this an ideal home for someone looking for a property which is ready to move into and is chain free. Please contact the sellers sole agents Wyatt Hughes to arrange your appointment to view. Double glazed door leading to a spacious entrance hallway with radiator, smoke alarm, loft hatch providing access to loft space and a cupboard housing electric consumer unit. A spacious room enjoying a double aspect having TV point and two radiators. Space and plumbing for washing machine, wall mounted gas combination boiler, wall mounted shelved storage cupboards, radiator and double glazed door leading to the rear garden. Comprising of a concealed unit low level WC, wall mounted wash hand basin with cupboard under and part tiling to walls. Outlook to the front with radiator. Outlook to the rear with radiator. A newly fitted white suite with panel bath having mixer taps and shower over, concealed unit low level WC, wash hand basin with cupboard under, chrome heated towel rail, part tiling to walls and frosted glass double glazed window. The property enjoys the benefits of its own private rear garden, this is predominately laid to lawn with a large patio area, there is side access and outside tap and the garden is screened by close panel fencing. To the front there is a driveway providing off road parking for several vehicles. Far reaching views | stunning gardens | character and charm. Guide Price £350,000 to £375,000. Move Sussex Estate Agents are pleased to offer this late Victorian semi detached house. Situated in the sought after Westfield area giving easy access to local shops, buses and Hastings Hospital. A truly magnificent characterful apartment located in the heart of Hastings iconic Old Town off of George Street, accessed via a quaint twitten. This Grade II listed duplex property has the most spectacular full height Georgian style sash window spanning both floors, giving fantastic south facing views across the Old Town from both levels. From the moment you enter the private courtyard and see the circular tower incorporating the communal stairs, the features inside are equally rare and stunning. Situated off George Street, which is one of the best streets in Hastings. Famous for its Tudor through to Victorian architecture, this town is steeped in history. There are a great number of independent shops, boutiques, antiques, and artists’ studios to enjoy exploring, as well as numerous traditional and modern pubs, bars, cafes, and restaurants. All year round, there are festivals, including Jack in the Green, Bonfire Procession, Seafood and Wine Festival, and the Herring Festival, to name a few. Just a short walk away is the Rock a Nore beach, and 3 miles shingle beach with amazing views along the front towards St Leonards. Not to be missed is a walk up the 100 steps to the West Hill with ever changing seascapes and sunsets. The fishing huts sell freshly caught fish daily; the Old Town community so welcoming; and the award winning Pier only a short walk. Hastings is extremely accessible to London, Brighton, and Ashford, with the mainline train station less than 1 mile away. The A21 and A259, also makes this town within easy reach of the nearby towns and countryside. In recent years, the whole town has become increasingly popular and regularly features in the national press. The Old Town has always been one of the most popular places to visit and live on the Sussex coast. The accommodation comprises: Enter via a metal gate off the twitten near the top end of George Street, go down the alley, and in to the communal courtyard. Enter through the communal secure door to the hall. On the second floor of the building, enter into a porch, which opens up into the wide hallway with lovely stripped wood flooring, and ambient lighting. Intercom phone and heating thermostat. On the internal ground floor of this duplex, there is a splendid large sitting room with the impressive sash window overlooking George Street. To the rear of the ground floor is a quiet main bedroom with built in mirrored wardrobe. Sash window overlooking the verdant hill. The bathroom is a real designer suite, with gold framed walk in shower, and an eye catching red and white roll top bath tub, W.C. & wash basin. 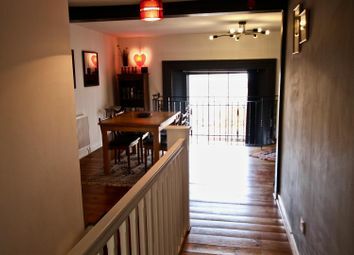 Lead up the stairs with the same stripped wood flooring throughout, and solid wood painted white bannister. On the second mezzanine level, there is a creative beautiful dining area and relaxing space for enjoying all day. Additional kitchen units for storage and worktop to one corner. The southerly aspect from the apartment is mesmerising looking across the historical quirky Old Town and out to sea. Internal door leading to fire exit stairs. Making the most of the space, there is an adjoining kitchen with all new appliances built in, including a full height fridge freezer, electric oven, gas hob, washer dryer, mixer tap with extendable hose attachment, and combination boiler. Attractive rich cashmere/grey wall and base units, with brushed chrome cup handles, oak wood effect worktop, and large sandstone tiled splashback. Beautiful herringbone floor tiles. Extractor fan and feature spotlight fitting. To the rear is a large bedroom, currently set up for children. There is a good sized built in wardrobe. The restored sash window overlooks the land to the rear and the steps leading up to West Hill. A contemporary stylised apartment with plenty of character and charm throughout. The full height window is such a unique feature that makes this a special apartment that would suit any creative, artist people looking for a property to enjoy for both relaxing and entertaining right in the centre of the Old Town. If you were looking for an investment, the holiday let potential for this flat is superb. 99 square metres/ 1065 square feet. Gas Central Heating, Restored stripped wood flooring. 1/5 share of freehold Managing Agents Length of Lease – Currently being renewed Service Charge - £75.96 pcm Ground Rent - £50 per annum Works arranged as and when required. 17% contribution. None due in the forthcoming year. Sold Chain Free and with the possibility to include some furniture by separate negotiation. Fox & Sons present this Victorian Semi Detached House. Accommodation comprises living room, kitchen/diner, two bedrooms, cloakroom and a bathroom. Additionally benefiting from off road parking, private rear garden, distant views and large basement storage areas/ art studio beneath. Situated in one of the towns most sought after locations within easy reach of the picturesque St Helens Woods is this stunning two bedroom, two reception room detached bungalow requires immediate viewing for those seeking a quality home enjoying benefits including gas central heating, double glazing, modern kitchen, modern shower room and wc, en suite wc to second bedroom, 17'4 lounge, plus dining room, off road parking for multiple vehicles plus 24'4 garage and superbly proportioned gardens to the rear. Situated within local bus routes to Hastings Town Centre with its comprehensive range of shopping sporting recreational facilities, main line railway station, seafront and promenade. Early viewing is considered essential to appreciate the many merits of this bungalow in this hugely sought after and desirable location. Call the owners agents now on to book your immediate viewing to immediate viewing to avoid disappointment. Radiator, airing cupboard housing hot water cylinder and immersion heater and wall mounted gas boiler, built-in cupboard, trap hatch to loft space. Double glazed windows to front and side aspect, feature fire surround, return door to hallway. Double glazed sliding patio doors opening to rear garden, door to garage (describe later), built-in cupboard. Double glazed window to front aspect, fitted wardrobes, radiator, return door to hallway. Double glazed window to rear aspect, part tiled walls, tiled double shower cubicle, wash hand basin with mixer tap over set into vanity unit beneath, low level wc, heated towel rail/radiator, inset ceiling spotlighting, return door to hallway. Up-and-over door, light, power, window to side, door opening onto rear lobby. Rear garden of a good size, laid principally to lawns, enclosed by fencing with flower beds, trees and shrubs, outside tap and side access. 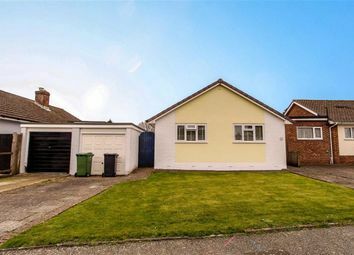 Conveniently located close to bus routes is this deceptively spacious detached two bedroom bungalow on a level plot with extensive block paved drive to the front with off road parking for numerous vehicles and well cultivated garden to the rear. The property boasts accommodation comprising double aspect 16' x12' living room with open fire, kitchen, two double bedrooms, bathroom and shower enclosure, 18'7 x 9'9 conservatory looking over into the garden. 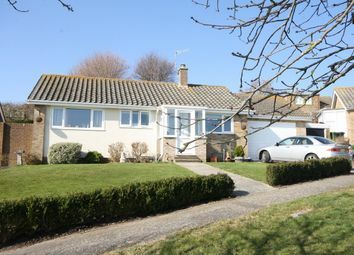 The property is offered to the market chain free and provides convenient access to bus routes to give access to Hastings town centre with its comprehensive range of shopping sporting recreational facilities, main line railway station, seafront and promenade, whilst also being within reach of the amenities located within Little Ridge and the Conquest Hospital. Please call the owners agents now on to book your immediate viewing to avoid disappointment. Dado rail, double radiator, telephone point, television point, brick built fire surround and hearth with inset open fire, double aspect living room with double glazed windows to side and double glazed window to rear looking into conservatory. Kitchen is fitted with a range of eye and base level cupboards and drawers with work surfaces over, four ring gas hob with extractor over and waist level oven and separate grill, integrated dishwasher, inset drainer one and half bowl drainer steel sink unit with mixer, cupboard concealed wall mounted boiler, double radiator, coved ceiling, part tiled walls, wood effect laminate flooring, double glazed window to rear aspect, pleasant views over the garden, door into conservatory and opening onto side porch. Space for tall fridge freezer, space and plumbing for washing machine and tumble dryer, tiled walls, tiled flooring, double glazed door opening to side giving easy access onto the driveway and to garage. Wood effect laminate flooring, radiator, double glazed windows to both side and rear aspect looking into garden, double glazed sliding patio doors onto garden. Coved ceiling, dado rail, fitted wardrobes, radiator, double glazed window to front aspect. Coved ceiling, dado rail, radiator, double glazed window to front aspect. Panelled bath, vanity enclosed wash hand basin, low level wc, walk-in shower enclosure with electric shower, tiled walls, tiled flooring, heated towel rail, double glazed window with frosted glass to side aspect. Large block paved drive with off road parking for numerous vehicles, area of lawn, driveway extends to the side. Variety of plants, shrubs, small trees. With up-and-over door, private door from garage to rear garden. Well cultivated rear garden, well stocked with a variety of plants, shrubs and small trees, are patio with lawn, seating area beneath pergola, wooden shed, greenhouse, access to front via side. Situated in this highly sought after and elevated location enjoying views over the rooftops of the town, to the sea and sussex downs, this two bedroom plus occasional room, two bathroom, detached bungalow enjoys benefits including gas central heating, double glazing, 15'1 kitchen/diner, 14'11 lounge, off road parking for multiple vehicles and gardens to the rear also enjoying the aforementioned views. Situated within reach of local shopping facilities, local schools and bus routes to Hastings town centre with its comprehensive range of shopping, sporting, recreational facilities, mainline railway station, seafront and promenade. 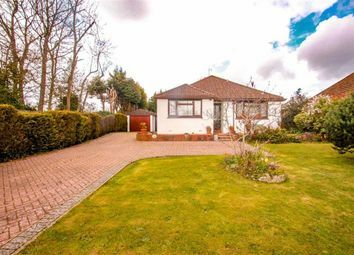 Call now to arrange your immediate viewing on this well proportioned detached bungalow in this highly sought after location. Radiator, built in cupboard, trap hatch to loft space, central heating thermostat. Double glazed window to rear aspect enjoying superb views over the rooftops of Hastings and St Leonards across to the Sussex Downs, part tiled walls, stainless steel inset 1 ½ bowl sink, range of base units comprising cupboards and drawers set beneath working surfaces, matching wall units over, stainless steel chimney style cooker hood over inset four ring ceramic hob, stainless steel single oven, plumbing for washing machine, wall mounted gas combination boiler, inset ceiling spotlighting, velux window to rear aspect, part double glazed doors opening to both front and rear gardens, radiator, return door to hallway. Double glazed windows to rear and side aspects enjoying views over the rooftops of the town and across to the Sussex Downs, feature fire surround with tiled inset and hearth, radiator, return door to hallway. Double glazed bay window to front aspect, radiator, return door to hallway. Double glazed window to rear aspect, tiled shower area, pedestal wash hand basin, low level wc. Double glazed window to front aspect, radiator, return door to bedroom. Double glazed windows to side aspect, shower cubicle, wash hand basin set into vanity unit beneath with mixer tap over and extending over low level wc, radiator, inset ceiling spotlighting, return sliding door to hallway. 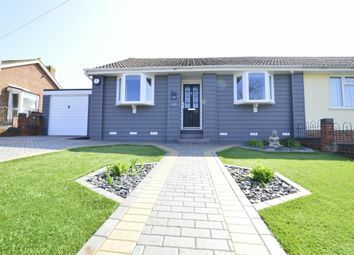 Walled to front, fenced to side, garden with raised flower beds and shrubs, block paved driveway providing off road parking for multiple vehicles with decorative flower beds and shrubs, exterior power point. Good size patio area enjoying views over the rooftops of the town and to the sea, steps down to gardens laid to lawn, trees and shrubs, greenhouse, gardens enclosed by fencing, outside power points, shed, under house storage area with light and power. 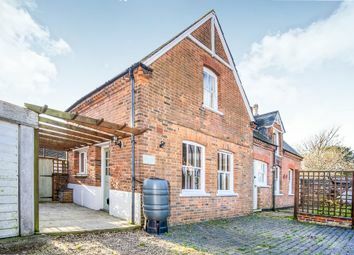 Tucked away at the end of a shingle driveway boasts this beautifully presented two bedroom detached former Victorian Coachouse, Benefits include kitchen/ breakfast room, two bedrooms, en suite and a front garden. Viewing is essential to fully appreciate this property. 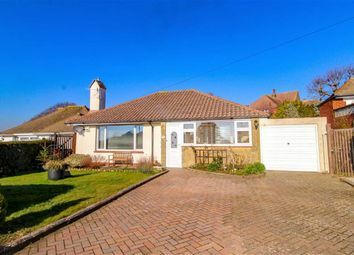 Superb detached bungalow set in an elevated position with a gorgeous outlook across St Leonards. This beautifully presented property enjoys spacious accommodation accessed via a large entrance hall, there is a triple aspect living space which offers plenty of space for a dining table too. The two double bedrooms are served by a trendy bathroom with a freestanding bath and separate cloakroom. The kitchen leads out to the rear garden where there is a level patio and a raised lawn and seating area, perfectly positioned to capture the best view of the sun setting. 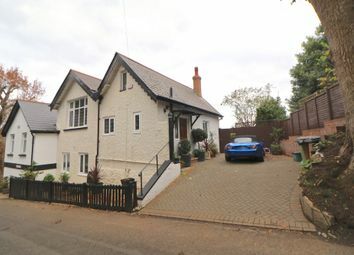 To the front of the property there is a driveway providing off road parking and giving access to the garage. 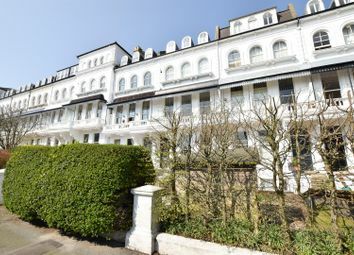 Grade II listed building, Superb two bedroom maisonette situated in perhaps St. Leonards' most iconic Terrace. Spanning two floors the accommodation here in this regency home boasts a plethora of original features, with a generous living space measuring 19'2 x 16'6 which opens on to a simply breathtaking, south facing balcony. There are two double bedrooms and a shower room sat on the ground floor. This fantastic property enjoys a private front and rear garden as well as a full length balcony accessed via the first floor which overlooks the private residents gardens opposite. Being sold with a share of freehold, this substantial apartment is not to be missed. 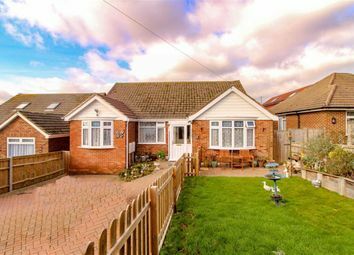 A beautifully presented & spacious two bedroom detached bungalow located down a quiet cul-de-sac within Hastings, with level access to the property. 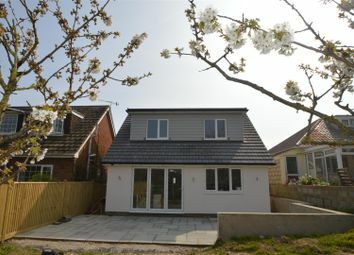 Accomdation comprises of two double bedrooms, a generous & bright living room, modern fitted kitchen & bathroom as well as a conservatory to the rear aspect. Other benefits include gas fired central heating, double glazing, a privately enclosed & well maintained rear garden as well as a garage with off road parking for multiple cars to the side aspects. Viewings come highly recomended via the vendors estate agents. Detached bungalow located in a popular area and benefiting from an open plan lounge/ diner, fitted kitchen two double bedrooms and a family bathroom. 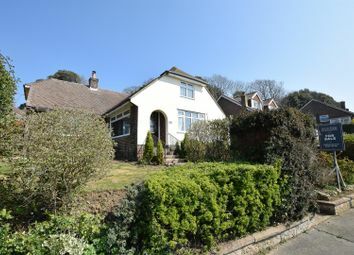 Externally the property offers ample off road parking, a detached garage and gardens to the front and rear. Pcm Estate Agents are delighted to offer for sale an opportunity to secure this superbly presented two bedroom detached bungalow situated in this level quiet cul-de-sac in this highly sought after location within reach of bus routes to Hastings town centre with it's comprehensive range of shopping, sporting, recreational facilities, mainline railway station, seafront and promenade. 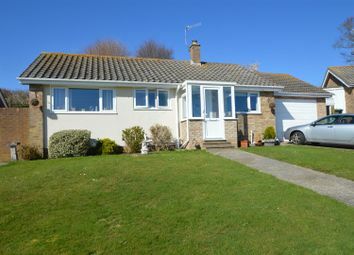 This beautifully presented bungalow enjoys benefits including gas central heating, double glazing, modern kitchen, modern shower room and WC, 16' double glazed conservatory, off road parking plus garage and a particular feature are the well proportioned and beautifully landscaped southerly facing rear garden that must be viewed to be appreciated. Call now on to book your immediate viewing to avoid disappointment. Double glazed to three sides, interior light, electric wall heater, double glazed double doors opening to rear garden. Double glazed window to side aspect, part tile walls, stainless steel inset sink, range of modern base units comprising cupboards and drawers set beneath working surfaces matching wall units over, under cupboard lighting, integrated cooker hood over stainless steel inset four ring gas hob, stainless steel double oven and grill, plumbing for washing machine, space for fridge/freezer, inset ceiling spot lighting, built in cupboard with slatted shelving, cupboard housing wall mounted gas boiler, part glazed return door to hallway, tiled floor, part double glazed door opening to rear garden. Double glazed windows to side aspect, tiled walls, tiled walk in shower cubicle, wash hand basin, low level WC, radiator, tiled floor, inset ceiling spot lighting, heated towel rail, return door to hallway. Up and over door with light and power, window and personal door to rear. A particular feature of the property with good size patio area with flowerbeds and side access gate, outside tap, leading to the gardens which are laid predominantly to lawns with established flowerbeds, trees and shrubs enjoying a predominantly southerly aspect extending to a good size and enclosed by close boarded fencing and shed. With built in wardrobes, airing cupboard housing hot water cylinder, radiator. With pleasant aspect overlooking rear garden, tiled floor, radiator, wall mounted Dimplex electric heater, ceiling lights/fans, double glazed sliding door leading out to rear garden. With pleasant aspects overlooking front garden and with far reaching views across Bexhill and of the English Channel, one and half drainer sink unit with mixer taps and having cupboards under, range of work surfaces with drawers and cupboards under, range of wall mounted shelved storage cupboards, electric cooker with four ring ceramic hob and extractor hood above, under counter dishwasher, under counter fridge, partly tiled walls, radiator, personal door leading into garage. With pleasant aspects overlooking rear garden, large range of fitted bedroom wardrobes with hanging and shelving, stripped wooden flooring, radiator. 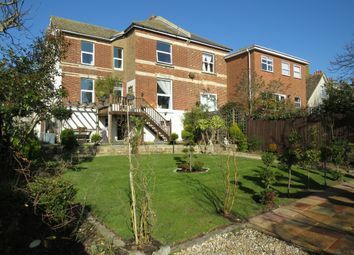 With pleasant aspect overlooking front garden and with views across Bexhill and of the English Channel, radiator. Being accessed via an up an over door with the benefit of power and light and housing wall mounted gas boiler, with door out to rear garden. To the rear you have an attractive landscaped secluded garden with raised decked seating area, large timber built garden shed, attractive timber built garden seat, raised beds with a variety of plant, shrubs and trees and with grass bank. From our office on Devonshire Square head north east and onto Endwell Road, turn left onto Sea Road, turn right onto Magdalen Road, use the right two lanes to turn right onto King Offa Way, turn left onto Glyne Ascent, turn left onto Hastings Road, turn right onto Third Avenue and continue straight onto Haslam Cresecent, turn right onto Seabourne Road, turn left onto Cardinals Close and the property can then be found towards the end on the left hand side. 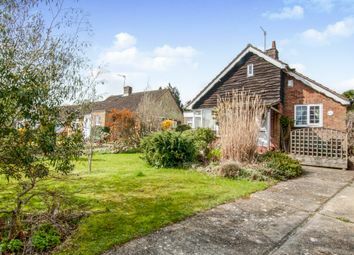 A delightful detached two bedroom bungalow with bright and spacious accommodation with an extension by way of a conservatory overlooking the west facing rear garden. 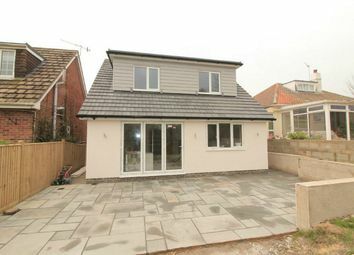 The property has been significantly updated and now has gas fired central heating, uPVC double glazing and a refitted bathroom. The west facing garden has been landscaped and there is a newly built 20' x 13' garage with additional parking for several vehicles on the driveway. 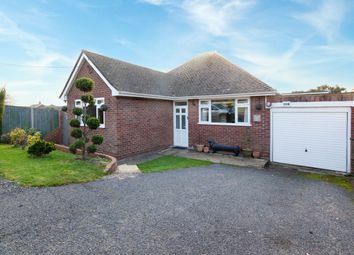 The bungalow situated in a quiet cul-de-sac enjoys an open plan front aspect with distant views, set within the popular Pebsham area around ½ mile from Ravenside retail park and 1½ miles from the town centre. Bus services pass close by.